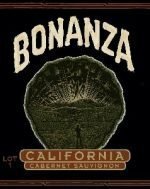 Categories: Country - United States, Region - California, Red - Syrah and Petite Sirah, Unique Reds. The Stanton family has grown grapes in the Napa Valley since 1947, and began making their own wine in 1999. With winemaker, Dave Phinney (Orin Swift Wines) and great fruit, there is definitely a winning combination! Stanton Vineyards remains, and will remain, a boutique winery, producing about 800 cases total. This small production allows them to focus on producing both grapes and wine of great character. 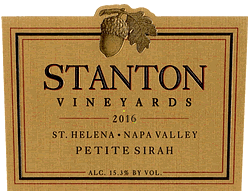 The 2014 Stanton Vineyards Petite Sirah is beautifully integrated with nice oak nuances, a fruit forwardness and a smooth finish. 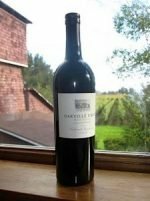 There are ample tannins to allow this wine to develop for a decade and more. True Stanton Petite enthusiasts will recognize the consistent balance and structure of this Petite Sirah, and rank it among the very best produced by winemaker, Dave Phinney, who has overseen this and every vintage of Stanton Petite Sirah from start to finish. Only 239 cases produced.